A polymer-modified grout that produces hard, dense joints that are resistant to shrinking, cracking and wear. Formulated with proprietary technology to ensure durability, color consistency and quick setting. Choose from 40 impressive colors. 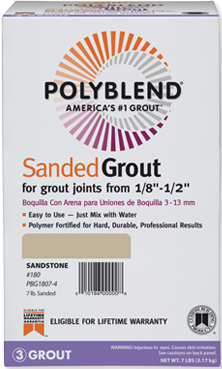 Use sanded grout for joints from 1/8” to 1/2” (3 to 13 mm).